Cape Town – If you’re the kind of person who cares more about what kind of office you work in than set office hours or medical aid, it hardly makes sense for you to be looking for your next employer on a traditional jobs board or in a newspaper. Enter Jobsburn, a jobs board aimed at ensuring that the digital and startup community in South Africa can attract the kind of people who “don’t care about 9 to 5”. The site, which is a part of the award-winning Burn Media publishing house, has recently rebranded so that it can help companies find digital-savvy employees who are entrepreneurial by nature. Companies are desperate for this kind of entrepreneurial talent, not least of all because they’re innovative by nature and are totally at home with new trends and forms of technology. As a recent Forbes article notes, the kind of people with these qualities are capable of reflecting on their responsibilities and approaching them in ways that most people wouldn’t even think of. Those same qualities and their relative rarity however mean that you can’t just expect to pick up hot entrepreneurial talent with a standard job posting. “To attract some of the top technical and creative talent you have to offer something different,” says Jobsburn head Cindy Cundell. That’s especially true of potential Millenial or Generation Y employees, who are more interested in meaningful work that allows them space to grow than in climbing the corporate ladder. “It is becoming increasingly important for candidates to know more about a potential employer, before they commit to an employment opportunity,” Cundell says. That’s where the Jobsburn team comes in. In addition to a variety of job posting packages, the site lets companies effectively tell people why it is awesome and people should work for it. One way of the cooler ways it’s doing this is sending in a videographer so that companies can show off their offices and working culture. Think about it. Who would you rather work for? The next Google, with its funky floor plan and laid back dress code or XYZ accounting, where you have to wear a suit every day, no matter how hot it is and no matter how broken the aircon is. With communities like the Silicon Cape helping foster a serious culture of entrepreneurship in the country, there are going to be a lot more of the former looking for talent in the future than the latter. Given that even the most digital-savvy people can bandwidth issues from time to time it makes sense that the package includes written interviews with a couple key employees and photos of the company’s offices. Jobsburn also knows how important social is becoming to online recruitment. Unlike most jobs boards that can only rely on their own social presence though, Jobsburn also has the leverage of Burn Media’s dedicated social following. Jobsburn, part of the award-winning Burn Media publishing house, has recently rebranded so that it can help companies find digital-savvy employees who are entrepreneurial by nature. MemeJobs, a Job Portal that has been an integral part of Burn Media’s portfolio, has recently announced that it will be making some changes in order to meet the growing demand of high quality employees within the digital industry. Founded in 2010 to cater to the increasing demand for specialised digital expertise, Creative Spark is a cutting edge digital agency characterised by its ability to innovate and constantly push the boundaries. In the three years since its inception the company has experienced considerable growth, expanding from a one man operation to a team of 28. 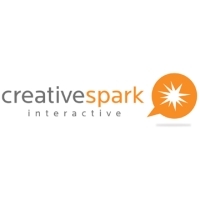 With over a decade of experience in the online and mobile worlds, Creative Spark Interactive is an experienced South African company, providing digital and social media solutions for all businesses: big, small, international and local. We don’t just create and build web, mobile and social media products; we also offer strategic advice for the long-term as well.